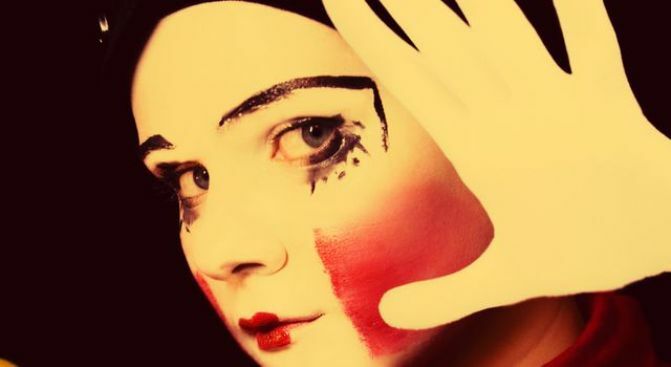 Is it just us or are mimes a little creepy? No, it's not just us. This Friday, kick off the long weekend at Art in Fashion (8 p.m. to 2 a.m.), the grand closing of Artomatic (55 M St. S.E.). Here's what you immediately need to know about Art in Fashion: free, SO not mainstream, carnivalesque. The night's theme is celestial bodies. Expect to find all forms of art in a fast-paced performance extravaganza -- think costume and fashion designers, choreographers, performance artists, dancers, mimes, drag queens, hair designers, body painters, piercers and tattoo artists. From 6-8 p.m., musical performances will heat up the main stage. Demos by artists not participating in the runway portion of the show -- body painting, tattooing, makeup, hair design and more -- will be set -up on mini stages. At 8 p.m., a unique fashion show showcases designers and artists on the runway. Follow up the show with a night of dancing and mingling with all the artists, designers and models. And we dare you to ask a mime to dance.